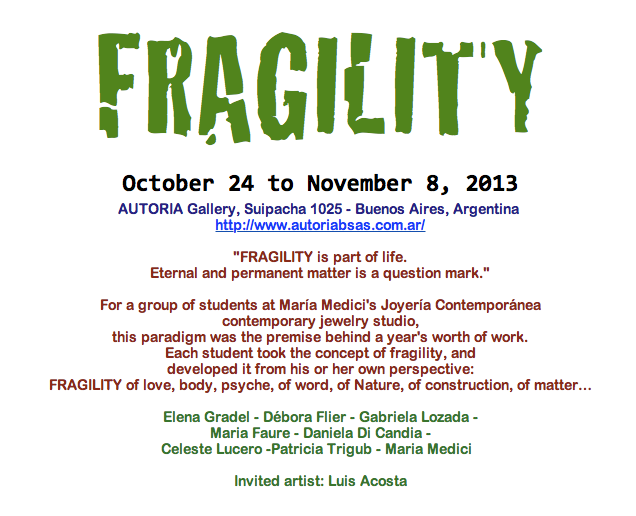 FRAGILITY exhibit: a one-year effort spells success! 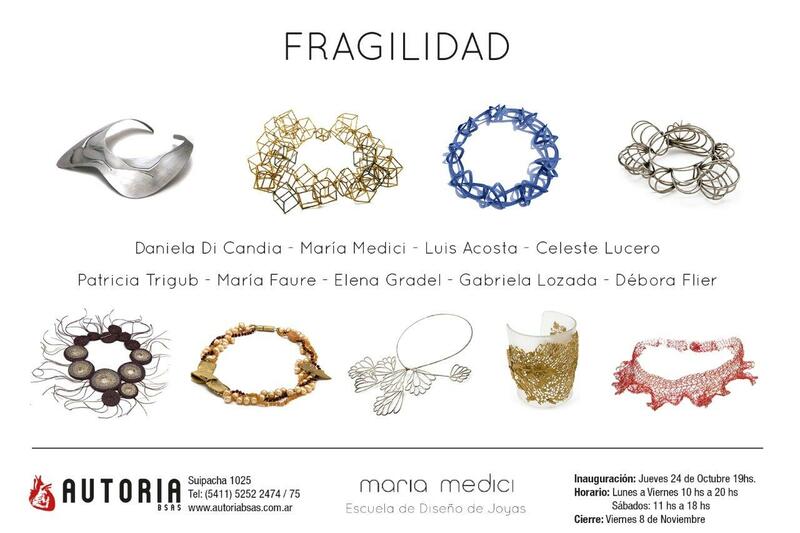 This entry was posted in Argentina, Textile Jewelry and tagged FRAGILITY exhibition, textile art in Argentina, textile jewelry by Silvia. Bookmark the permalink.